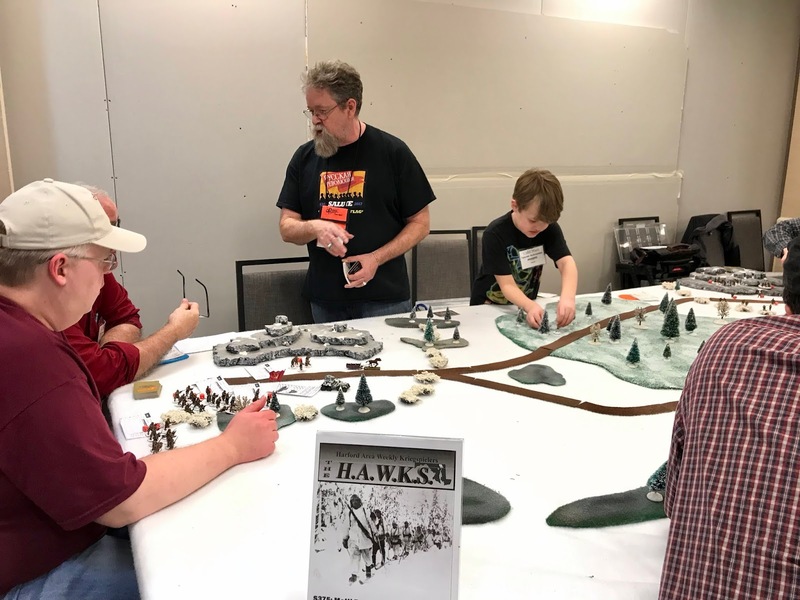 In the HAWKs Room Saturday at Cold Wars | H.A.W.K.S. 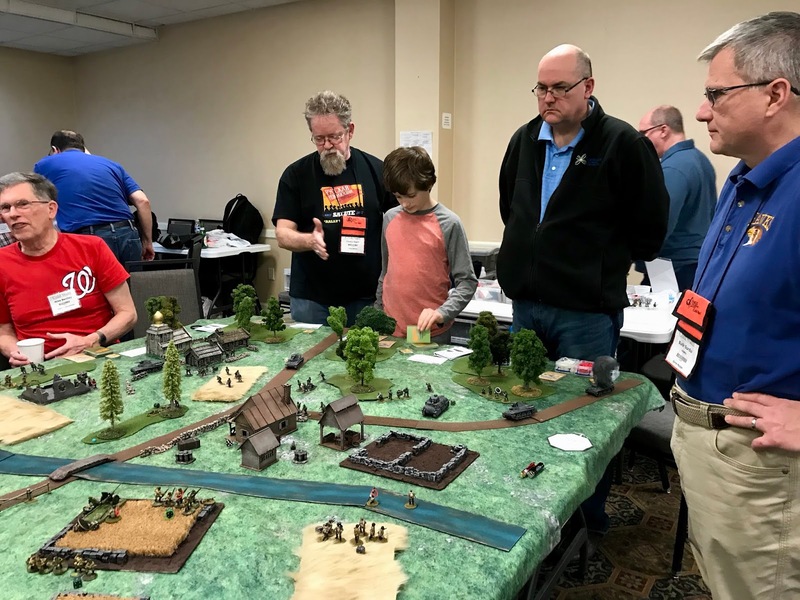 Chris Palmer This past weekend was HMGS East’s Cold Wars Miniatures Gaming Convention in Lancaster PA. 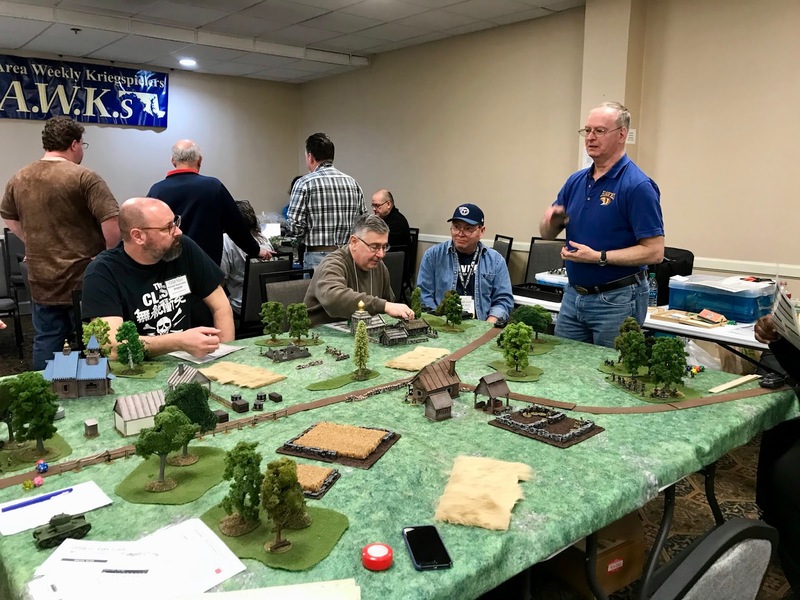 I arrived Friday morning, and had a great couple of days gaming, and running a well-received War of the Roses game on Saturday using the under-development Feudal Patrol rules. 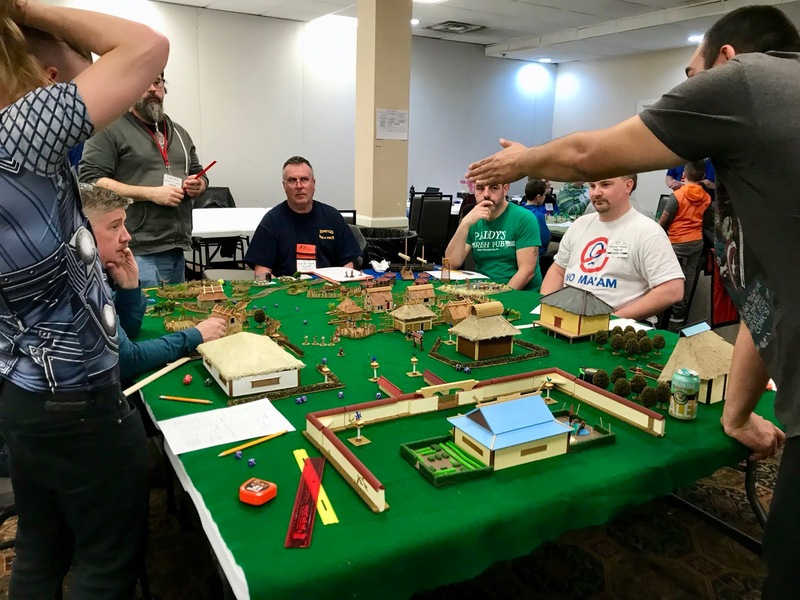 Below are some shots of a bunch of the games that were run in the HAWKs club room on Saturday. Thanks to all the great gamers who came out to play in the club’s games! The War of the Roses game I ran,“Feeding the Roses”, using the underdevelopment Feudal Patrol rules. 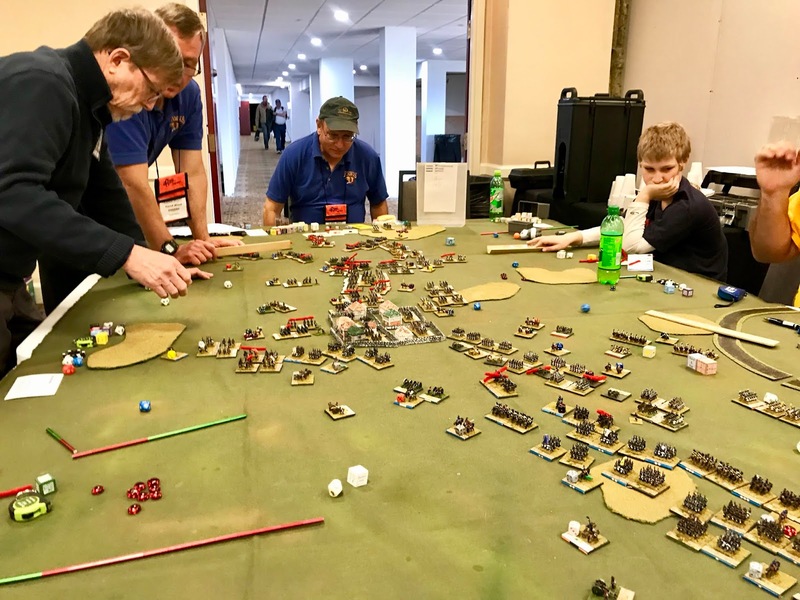 Dave Wood’s version of “The Saxons at Wagram: 1809”, using Fate of Battle rules. 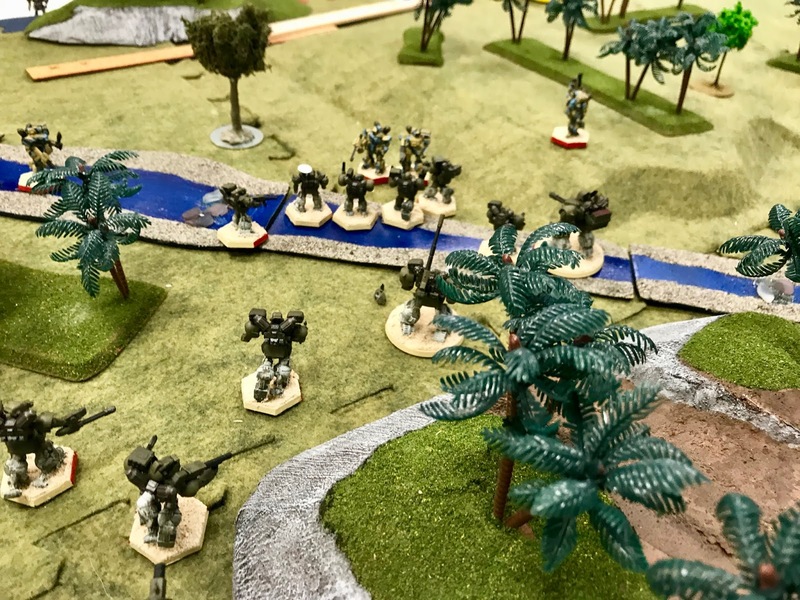 Kevin Fischer’s “Heavy Gears Everywhere” game, using HeavyGear Blitz rules. 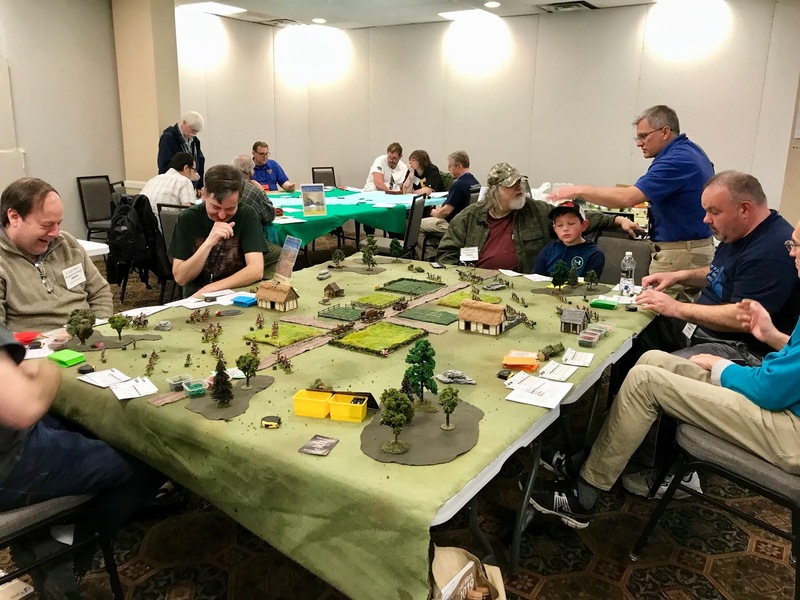 Bill Acheson’s “Hill 315” game, using Combat Patrol rules. 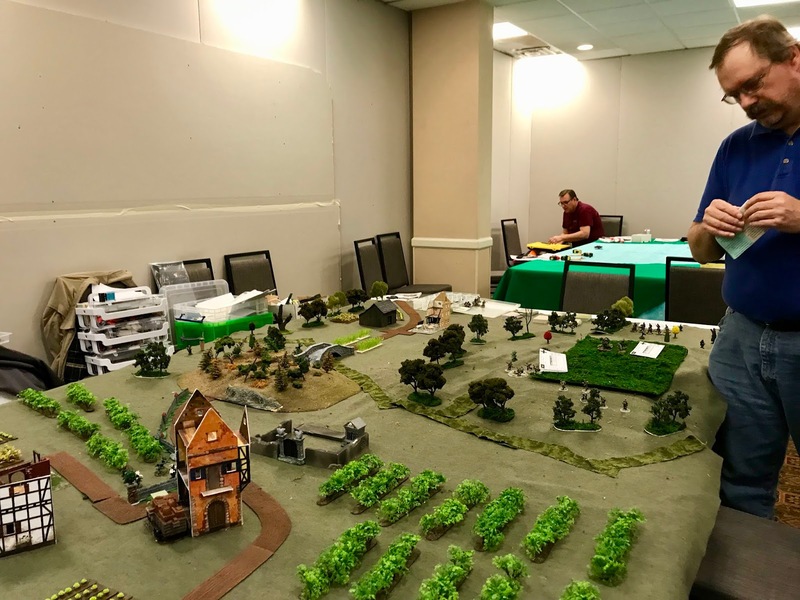 Buck Surdu’s Operation Platinfuchs game, using Combat Patrol rules. 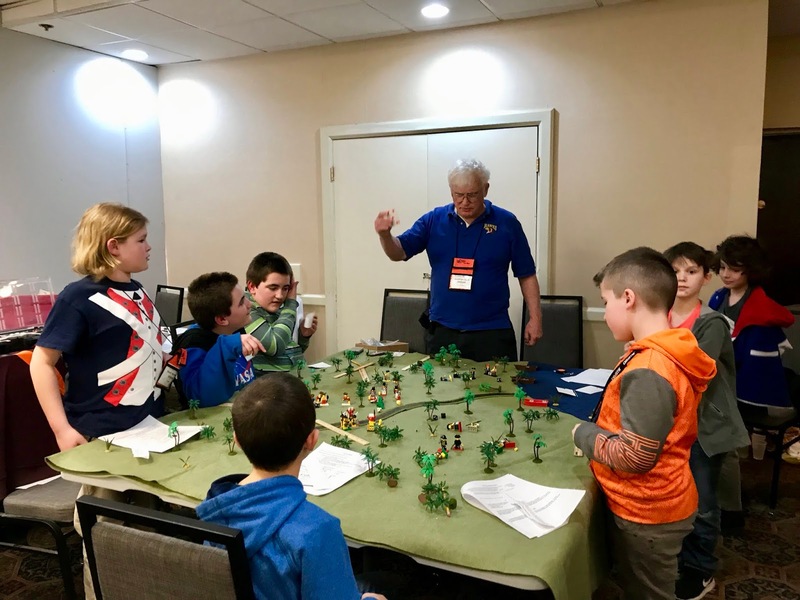 Harry Kogelschatz’s “Samurai and Pirate Showdown” game, using Blood and Swash rules. Geoff Graff’s perennially popular kids Lego game, Plastic Pirates Produce Problems, using Plastic Pirates rules. 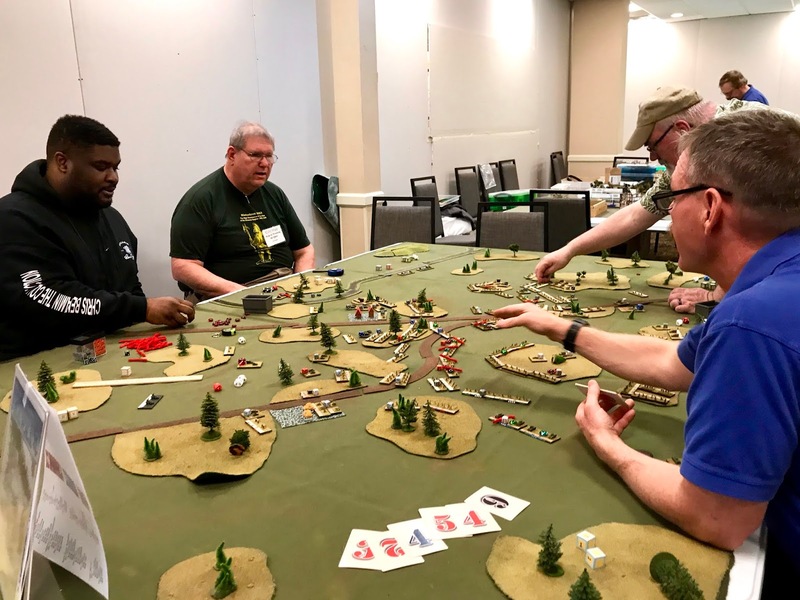 Zeb Cook’s “Motti Breakout: A Russo-Finnish War game” using Combat Patrol rules. 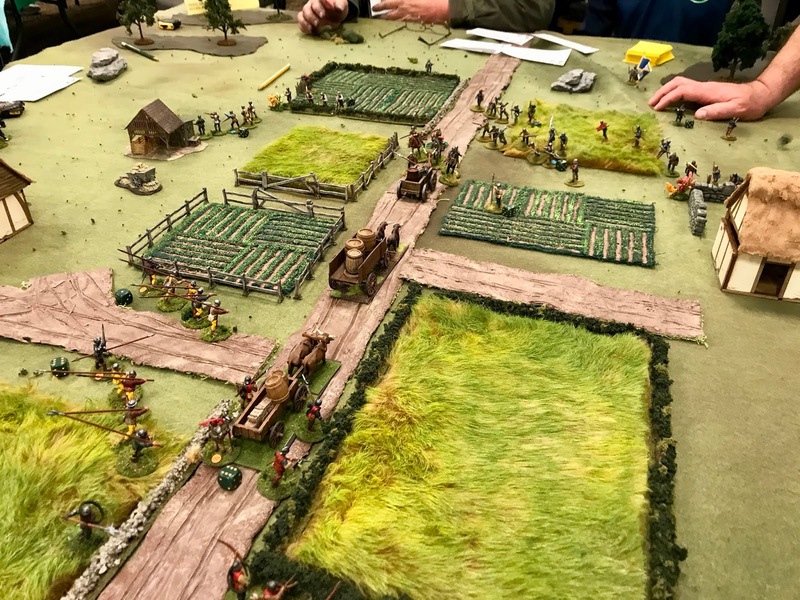 Don Hogge’s “The Germans Roll East” game, using Battleground: WWII rules. 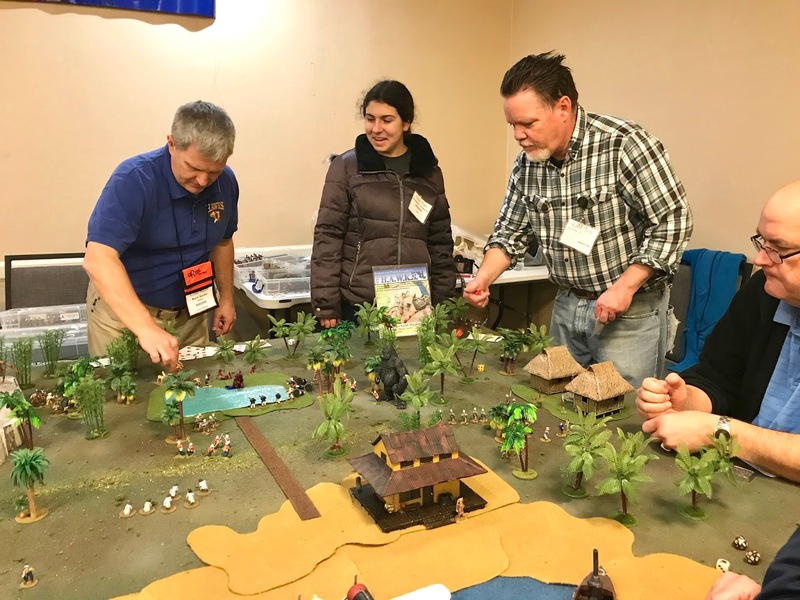 Buck Surdu’s “Tales of the gold Monkey” game, using GASLIGHT rules.